Another in the seemingly endless series of bad remodeling through the decades. 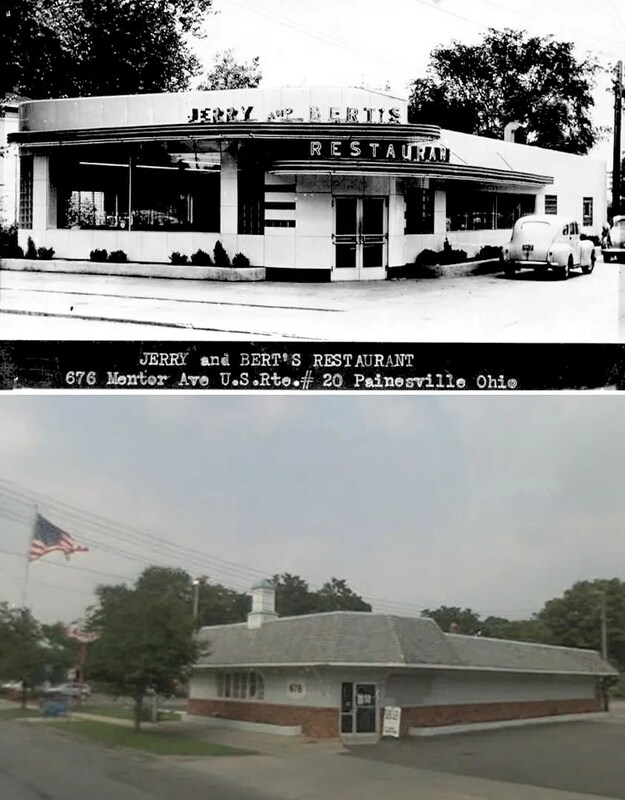 This time, it’s Jerry and Bert’s of Painesville, Ohio, which got the mansard and cupola treatment over its original moderne glass brick and enamel panel facade. These “remodeling” photos are killing me!